Dutch Passion’s Glueberry OG is a fine cross of Gorilla Glue with OG that was then crossed with Blueberry to give it delicious, sweet taste. 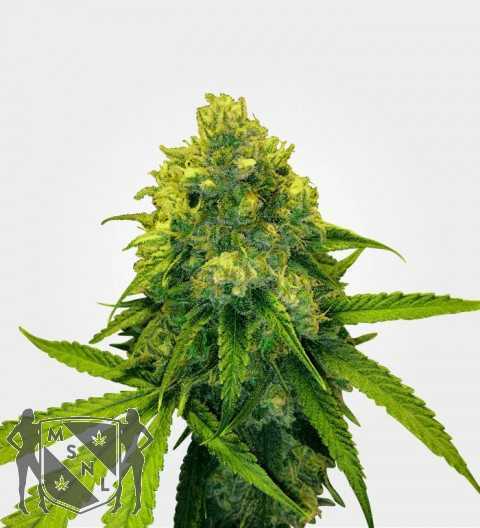 Its Gorilla Glue parent gives it super sticky buds and the OG will settle you down for some nice indica couch time. Glueberry OG is what you get when you mix and match the best genetics available today to make one powerful and delicious package. 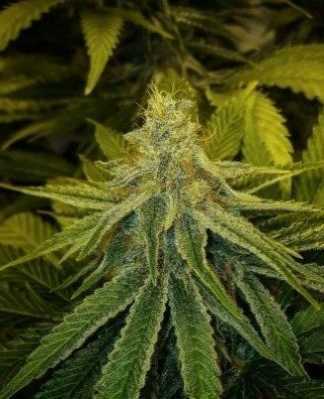 The immediate parentage of Glueberry OG is (Gorilla Glue #4 X OG Kush) X Blueberry, but of course Gorilla Glue itself is a hybrid of Chem’s Sister, Sour Dubb and Chocolate Diesel. 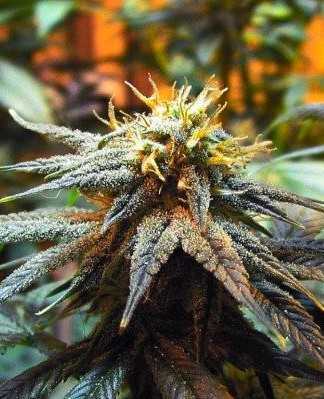 In other words, Glueberry OG has some seriously illustrious heritage. 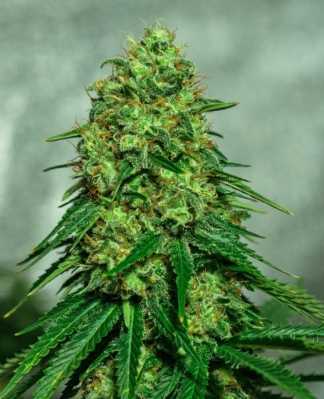 What that means in practice is that you get a big, strong plant with a heavy yield of medically-effective buds and a superb flavour. If you can give it the space it needs, you’ll get an outstanding pay-off. 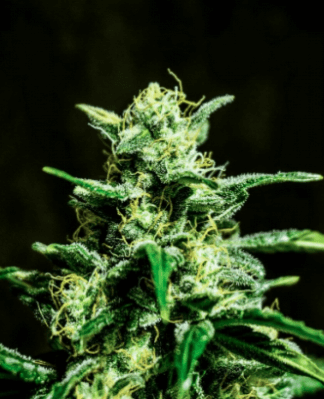 If you’re familiar with Gorilla Glue, you may be expecting its descendent to have super-high levels of THC, but actually we’d describe them as being more in the region of medium-high (around 15% to 20%). This is more than adequate for all but the most severe conditions and may be vastly preferred by people who prefer gentler medication. Another good point about Glueberry OG is that the pain relief and mood lift is followed by a very gentle, relaxing sensation, which leaves people feeling refreshed and relaxed rather than in a stupor, which means that although this strain is probably best suited to daytime use, if you do use it in the evening, you’ll still be able to get to sleep afterwards. 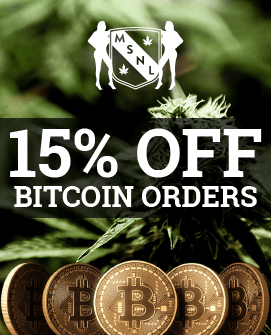 In other words, if you are suffering from major migraines or a similar, acute condition, then you may benefit from the original Gorilla Glue or a similar strain with super-high THC levels. If, however, your problem is more in the line of standard tension headaches, day-to-day anxiety or just a plain and simple inability to get out of bed and get moving in the morning, then Glueberry OG could be the perfect strain for you. 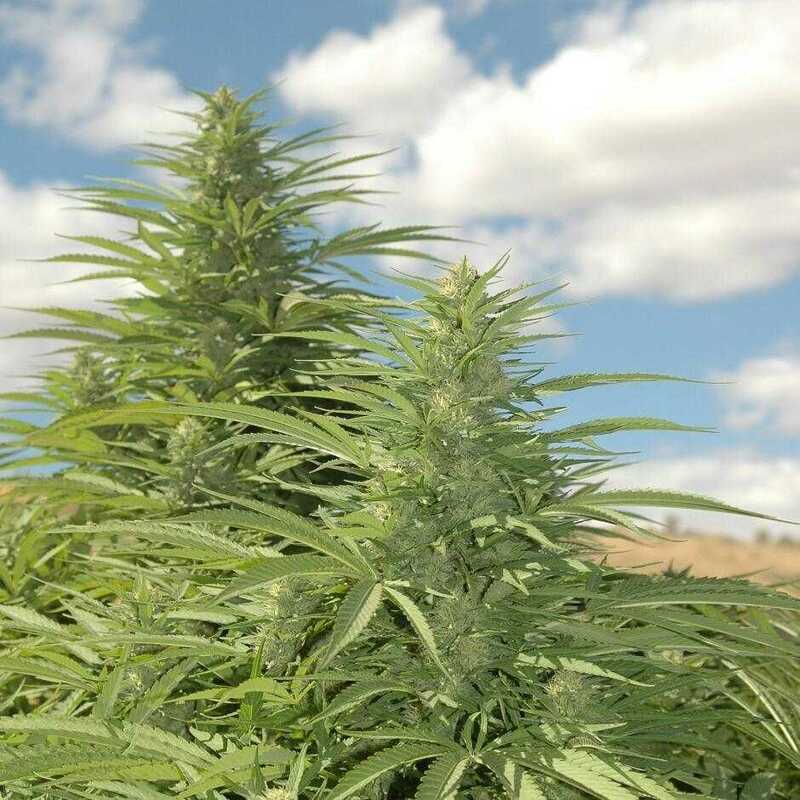 Indoors in a standard set up and allowing the plants to grow to their full height, you can look at a comfortable 450 g/m² and outdoors around 70g to 100g per plant. 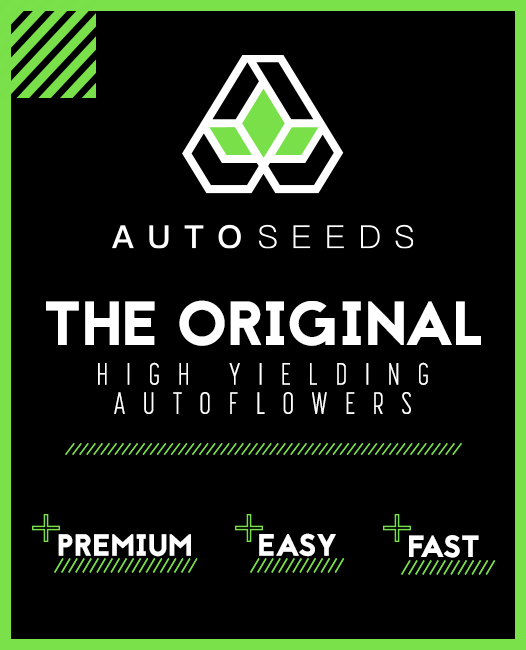 If you use plant training to keep the height down, you have to accept that you’re probably going to lose some yield too and, by contrast, if you really put maximum effort into optimizing your growing conditions, then you could push your yield up to 550 g/m². 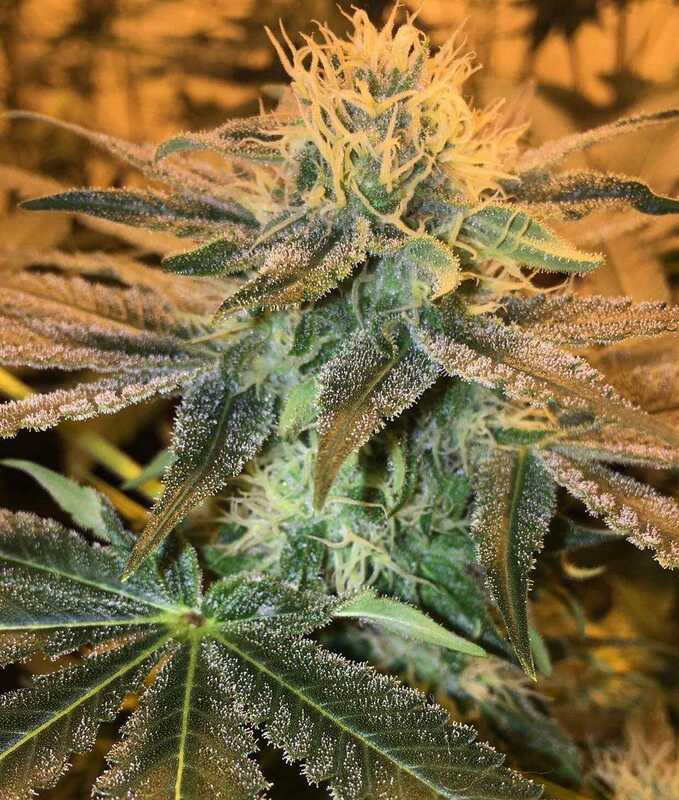 Glueberry OG is ready in about eight weeks indoors, which is actually pretty impressive given its height and yield. Left to its own devices, Glueberry OG will easily clear 1.5 metres and may even reach as high as two metres. Plant training can bring this down quite a lot but if you go down this route, you have to be prepared for a loss of some of the potential yield. 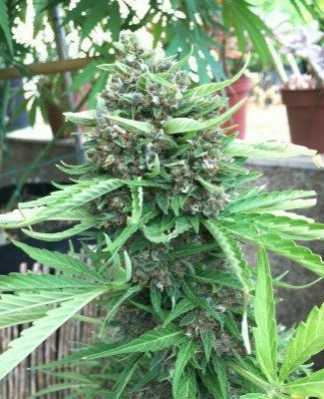 As is generally the case with heavy-yielding strains, Glueberry OG can benefit from some support later on in flowering as those hefty buds start to weigh down its branches. This is particularly true of Glueberry OG as those Gorilla Glue genetics mean that this strain is just oozing with resin so be prepared to get your fingers sticky. You will also need to pay attention to ventilation and odour control (particularly during the final weeks). 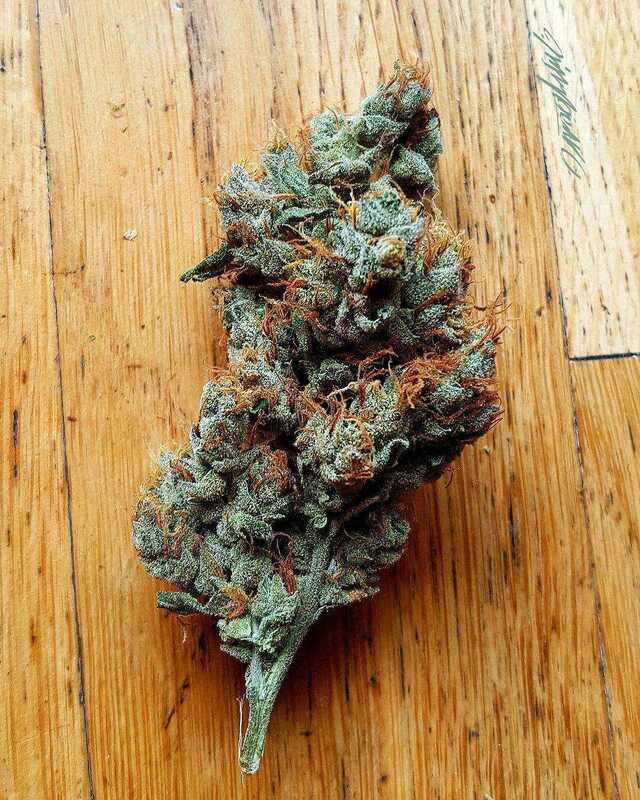 Overall, however, Glueberry OG is a robust and resilient strain and should certainly be within the capabilities of most amateur growers. When it comes to taste and aroma, Glueberry OG may take you a bit by surprise. 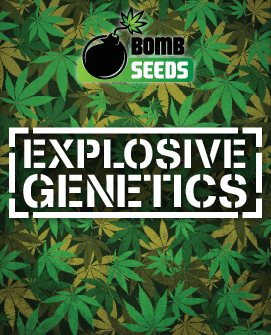 Given the name and the Blueberry genetics, it’s understandable that people would assume that the flavour and aroma would be heavily dominated by blueberry, actually this is very far from being the case, obviously blueberry does feature, but it’s definitely not the main attraction. 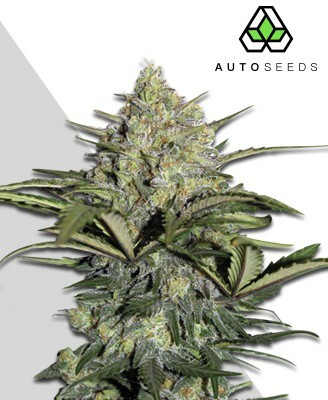 For Glueberry OG, the top notes are mainly pine, the blueberry notes add body and flavour without taking over and the base is old-school diesel fuel. Much the same comments could be made of the aroma, which is both pleasant and distinctive. Interestingly, during the grow period, the scent is very much one of blueberries right up until the last couple of weeks, when it changes to being a strong, clean, menthol pine. Glueberry OG is less about looks and more about taste and smell. Having said that, once you get a bag of this weed in your hands, you’ll appreciate the density (and stickiness!) of the nuggets even before you start to break them open and breath in the lovely scent. 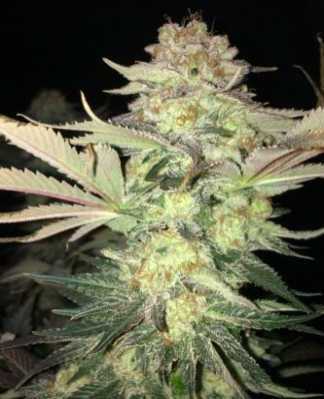 The height of Glueberry OG means that this strain is not going to be for everyone, but if you can cope with the size, there really is a lot to love about it.